This lightweight dry barrel fire hydrant has a UL/FM/AWWA 350psi operating pressure and has been factory tested to 700psi. The A-403 features a traffic flange, 5-1/4” fully encapsulated, reversible main valve, a durable polyurethane top coat, and automatic oil lubrication. In addition, all internal components, nozzles, and repair parts are fully interchangeable with the Super Centurion 250 hydrant. Initially, the A-403 is available with a 5-1/4" main valve and a 3-way opening configuration (2 hose nozzles / 1 pumper nozzle). 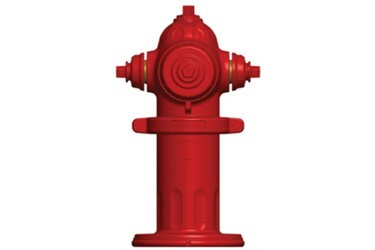 For more information, stop by WEFTEC Booth #6225, visit https://www.muellercompany.com/water-works/hydrants/fire-hydrants/ or call or call 800-423-1323.